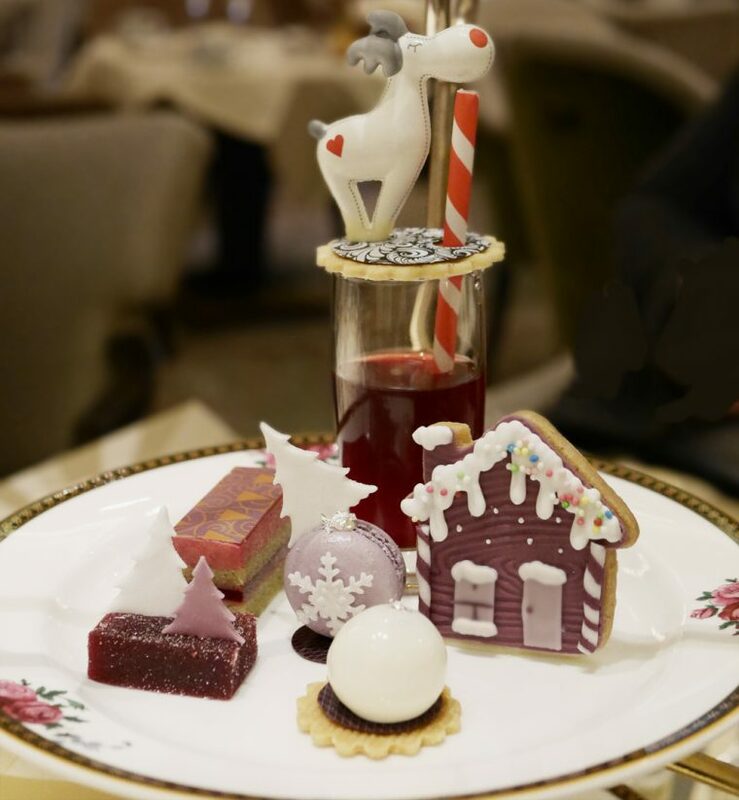 The Langham, London has just launched an Asprey’s inspired festive afternoon tea. 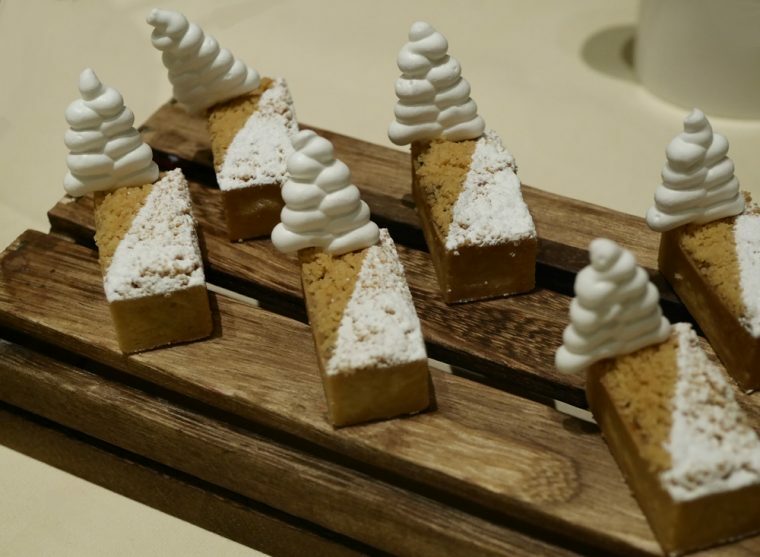 Lucky me, I was invited along to be one of the first to try it – and, since the pastries from Executive Pastry Chef Cherish Finden are, in my opinion, the best in London it was a date not to miss. Of course seated in the stunning Palm Court, listening to the pianist and sipping on a glass of a glass of Laurent-Perrier, Brut NV would be enough. Add the finest pastries, some freshly made warm scones and a delicious assortment of savouries and you have a winning combination. The tea starts with a festive eggnog which is quite unlike that rather strange mixture my father would sometimes concoct at Christmas. This one comes in a small glass and is set, almost like an alcoholic pannacotta. It’s made with rum jelly, flavoured with cinnamon, clove, nutmeg and vanilla then topped with more rum jelly. And it is utterly delicious. Then, there’s an array of savouries – sandwiches and more, with a distinctly festive feel. 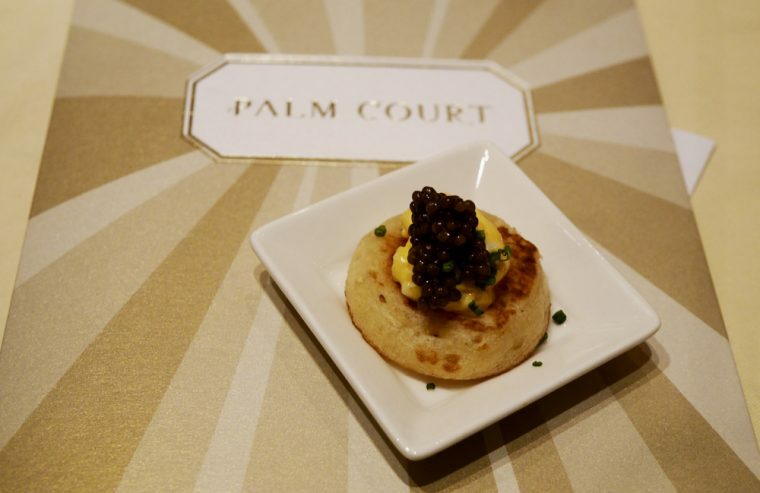 I particularly liked the dainty duck egg and oscietra caviar blini. And I’d happily have eaten a whole trayful of the Balvenie whisky smoked salmon and fennel brioche. Sandwiches comprised farmhouse stilton, red onion and port relish on walnut bread, a classic cucumber, cream cheese chives and the achingly appropriate smoked turkey, marjoram stuffing on cranberry bread. 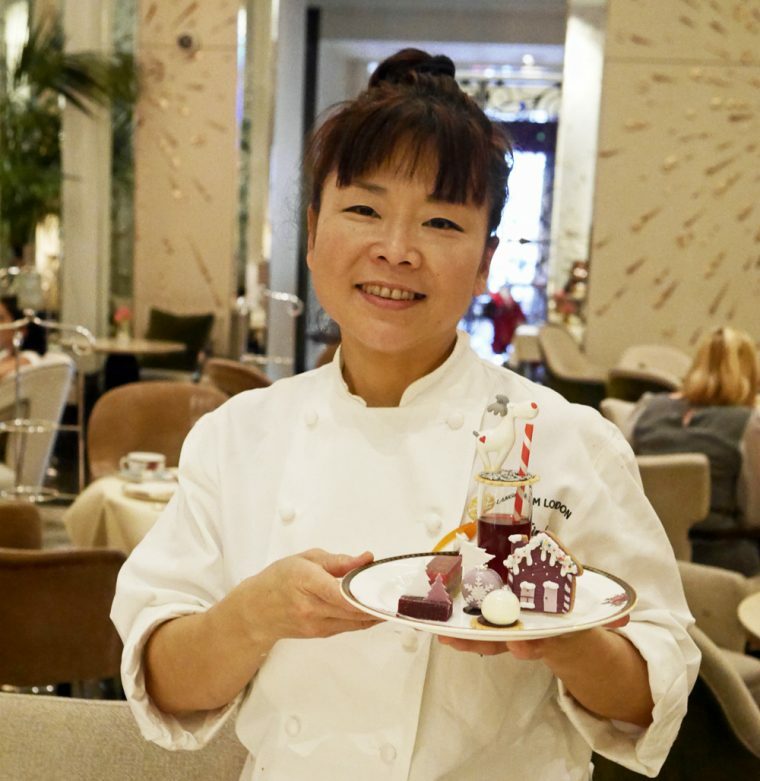 As always, the star of the show at the Langham is the collection of pastries, all inspired by Asprey’s signature brand colours of lilac and white. Cherish herself appeared to explain to us a little more about what she had created. First with some tiny mince pies with meringue Christmas tree toppings. Then, with the main selection of pastries. 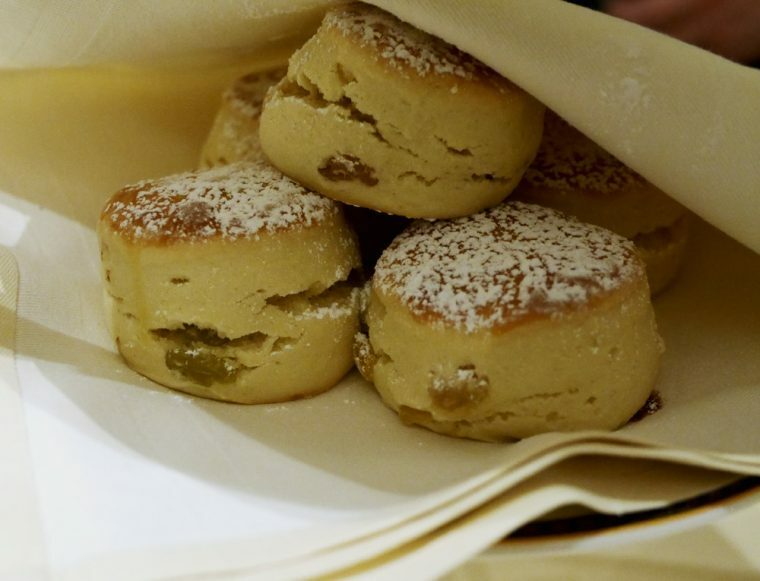 The idea is to eat the pastries in a particular order to ensure that the delicate flavours are not overwhelmed. First, the tiny, perfect Asprey bauble, which might just be the real thing. Bite into it to find an explosion of confit lemon complemented by bergamot mousselines and Manjari cremeux. Next, the delicately crafted snowflake macaron. Then, a seasonal pistachio and cranberry slice, followed by a perfect, tiny mini gingerbread house which Cherish told us had been inspired by a recipe she learnt when she first started to train as a pastry chef twenty-six years ago. Finish the whole thing off with a palate cleansing rosehip and hibiscus shot. It’s all very special and if like me, you go early enough in the Christmas season you might have an excuse to go back for another try and check that everything really is as perfect second time round. Christmas is, after all, the time when indulgences are excused. Available 21st November 2016 to 2nd January 2017. I really love the idea of the eggnog done like that! A world away from the sort my Nan used to make! 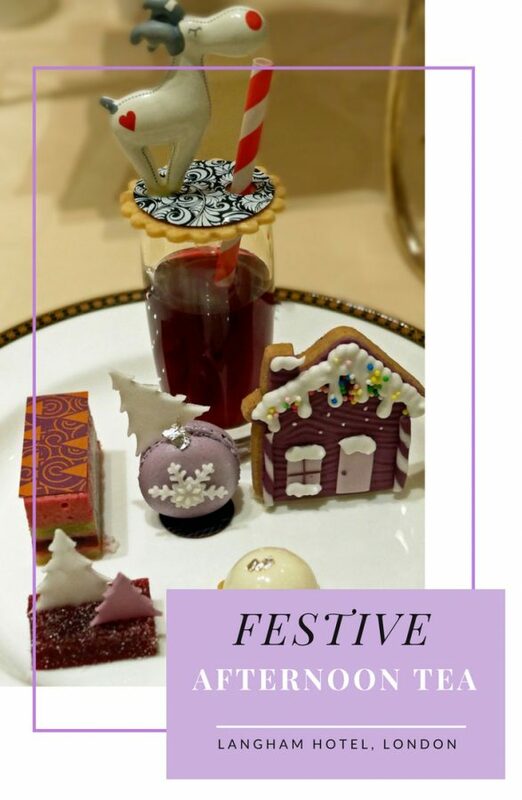 I love the Langham tea and this one looks just perfect! Cherish is a real talent! All those little cakes are so pretty! 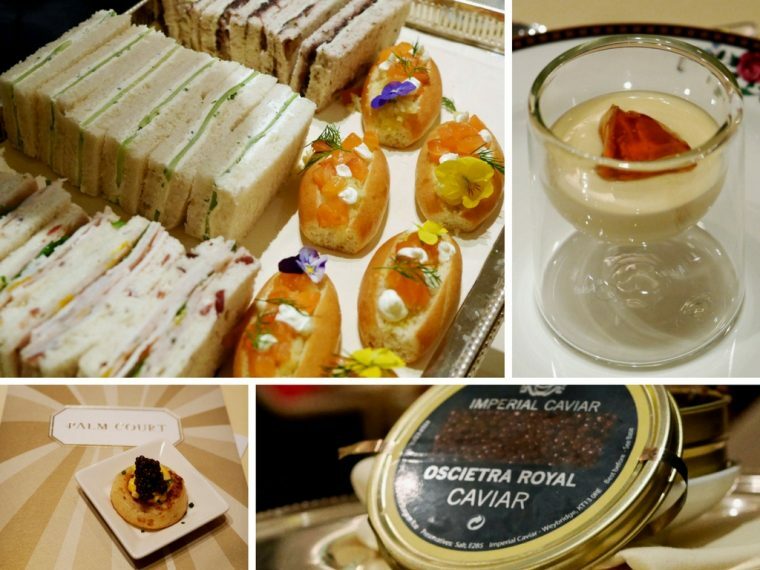 I love The Langham afternoon teas, I really like that they do special ones each season. I’m with you – jam first on the scones. The rest of my family say cream first (because it’s like butter) – sorry, but no. 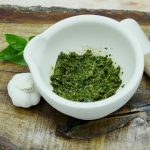 Jam first!